Cisco-Eagle provides a wide range of material handling systems, equipment, and services to manufacturing, distribution, warehousing, military, and commercial operations. 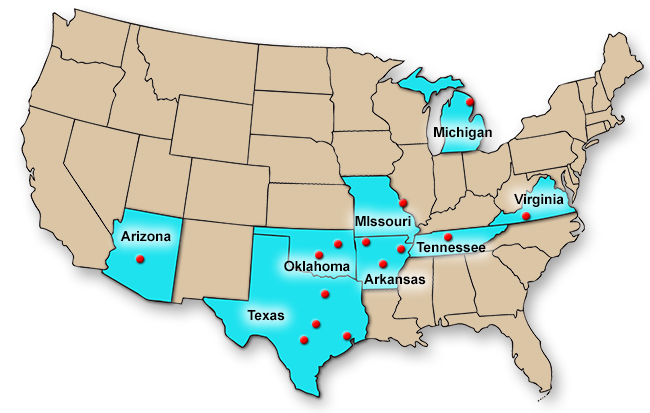 We operate specifically in these locations, but have an installed base of satisfied clients in every state and internationally. We provide sales of material handling equipment, systems & design assistance, and (in most of our locations) service and maintenance of material handling equipment. If you aren't sure who to contact, call 888-877-3861 toll-free. We look forward to helping you.